With the Galaxy Note7’s global replacement program well underway, Samsung Electronics has announced that new Galaxy Note7 devices will soon be available for purchase in markets across the globe. Sales of the new Galaxy Note7 commenced on October 1 in Korea, and will follow suit in markets worldwide in the coming weeks. 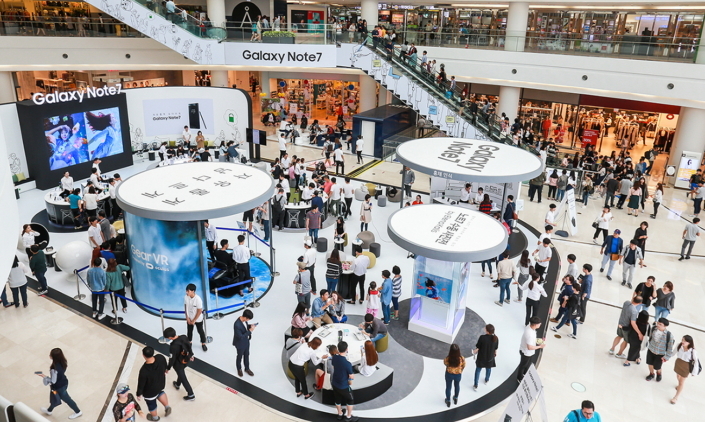 On September 30, the eve of the resumption of Galaxy Note7 sales, Samsung opened Galaxy Note7 experience zones in a number of locations across Korea. 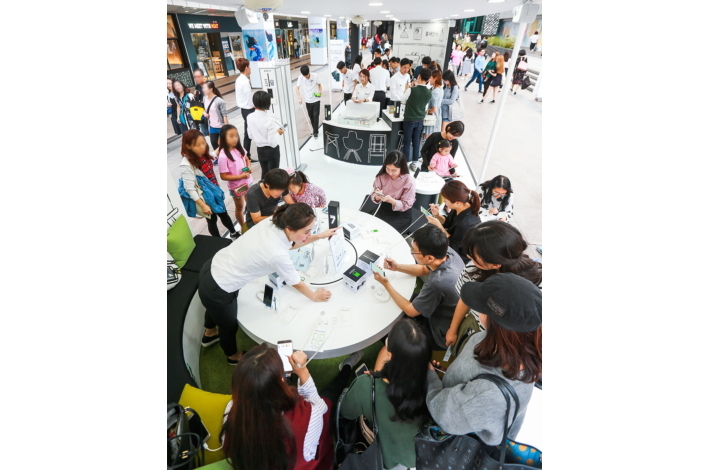 The experience zones allowed people to enjoy the device’s best-in-class productivity, security and entertainment features, and attracted large crowds of consumers eager to get their hands on the Galaxy Note7. 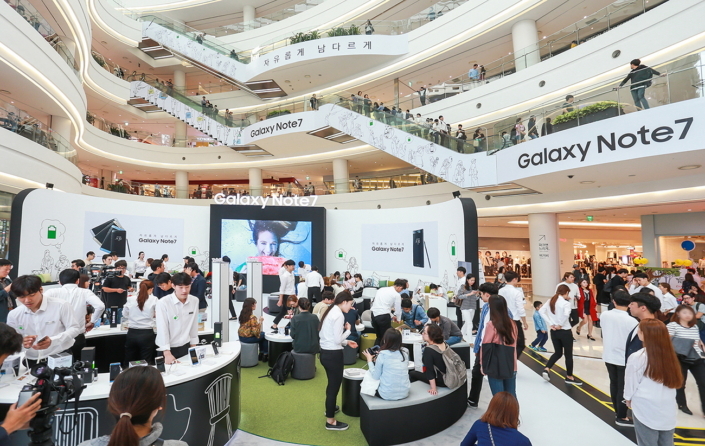 As Galaxy Note7’s sales resumed, Samsung opened Galaxy Note7 experience zones in several locations in Korea on September 30. A customer checks out Galaxy Note7’s new and innovative S Pen features. A customer tries to see how fast the Galaxy Note7’s camera can capture the moment for himself. 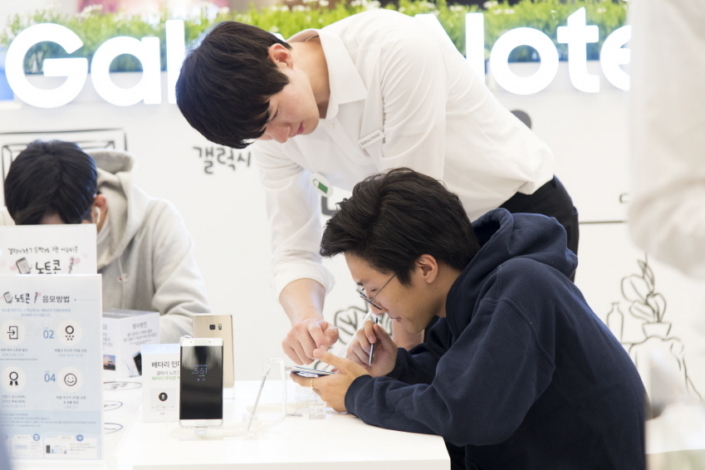 Customers were excited to explore Galaxy Note7’s new features including the iris scanner at the experience zone. The Galaxy Note7 was designed to help users do more than they may have thought possible with a smartphone, featuring a 5.7-inch curved QHD Super AMOLED display perfect for both productivity and entertainment, as well as the ever-versatile S Pen, which is much more than just a writing tool. The phone’s iris-scanning technology, backed by Samsung’s defense-grade Knox platform, introduces a new standard in mobile security, while IP68 water resistance affords users more freedom to utilize their phone’s innovative features. 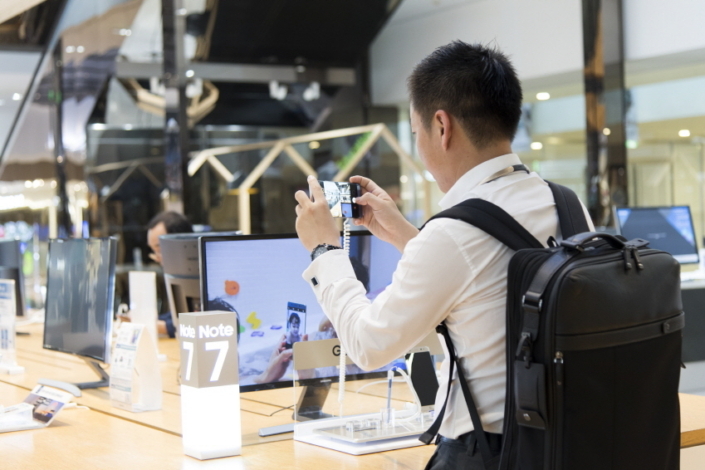 Customer safety remains Samsung’s highest priority. As the company introduces new Galaxy Note7 devices to the market, Samsung continues to strongly encourage all Galaxy Note7 users who have not yet participated in the exchange program to immediately do so by contacting their place of purchase or calling a designated local call center as soon as possible.